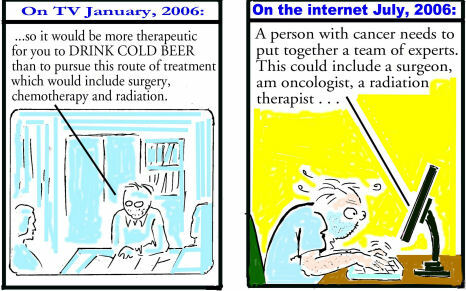 Here are some cartoons related to the Canadian Cancer Research Group. 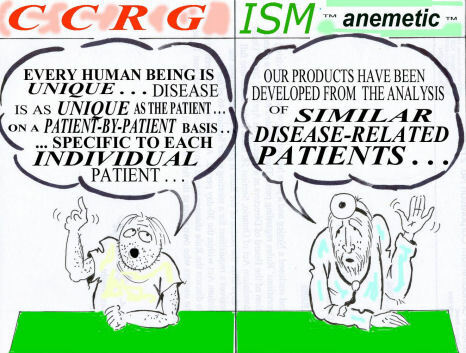 They were drawn by someone whose family was tragically affected by the quackery and fraud perpetrated by CCRG. The artist has requested anonymity, as he has suffered enough without being besieged by lawyers acting for a charlatan. You can see the television show mentioned by clicking here. CCRG used to peddle something named "ISM', but the name seems to have changed to Aminomics©. Yes, that really is a copyright symbol, not a trademark one. 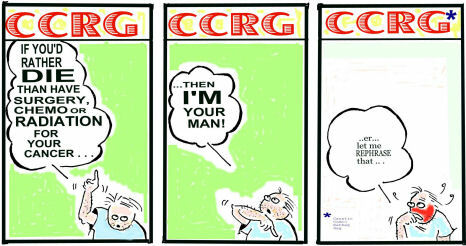 CCRG needs to talk to an intellectual property lawyer.